My name's Todd, and I live in Niagara Falls, Ontario. I've been doing network/structured cabling for years, but lack of work has me working at a Ford assembly plant (so if you have a newer Edge, Flex, MKX or ugly MKT I probably touched it). Looking to get back into the cabling business, as doing the same thing 500-600 times a day non-stop is really old. Very new to the whole 3D printing thing, so still trying to get this thing printing 100%. I think I'm fairly close to winning the battle though. A couple of goofy things still happening I need to work on. Here's my mess of a #printcave, as this was the last room to be unpacked when we moved, so don't judge. Between 10 hour work days, 2 hours of commuting, and an 8 month old baby, there isn't much free time. Hey I'm Caleb from Australia. I got my first printer in Feb this year, a Prusa i3 Mk2 kit just as I was getting a job in the commercial side of things. 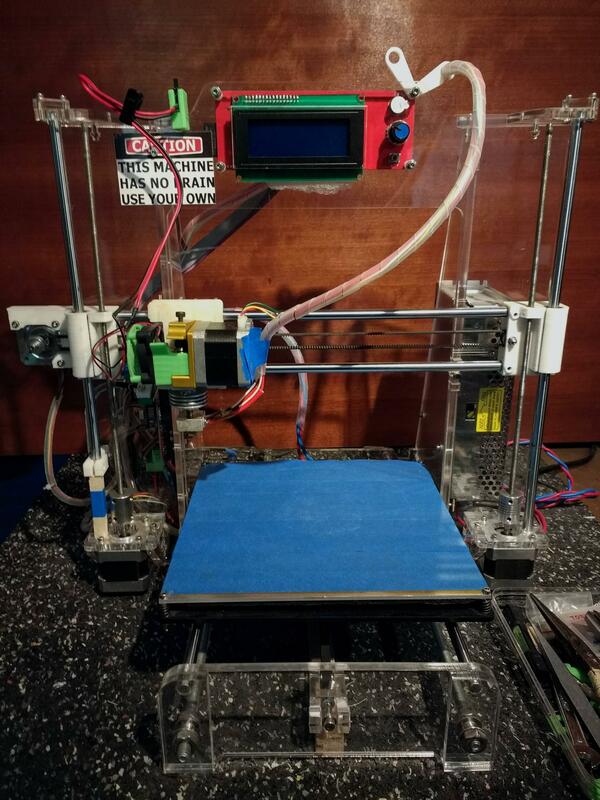 I now run a physical 3D printer, printing and component shop selling commercial printers and filaments to the public who look at printing as a means to an end instead of a hobby in itself. Most of my printing at the moment is running tests for customers and familiarizing myself with a wide range of commercial machines and interesting filaments. This weekend I'm fitting the MK2S upgrade, ignus polymer bearings and a volcano block and nozzle to my personal machine. My print cave extends to the store, where I use a FF Dreamer, MBR5 and FF Inventor II to run demos and prints for customers. 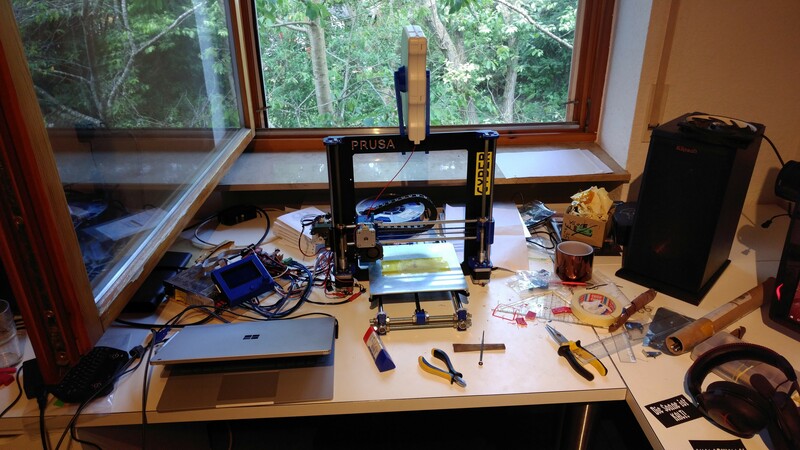 I'm a student from France,I've been into 3D printing since 2010 and I got my first 3D printer 2 years ago (a Prusa clone called the Xi3). I do a lot of 3D modeling using OpenSCAD and Fusion 360. I mostly print functional objects that I designed or downloaded. I also work on multiple projects using arduino or python, currently I'm trying to develop a plugin for octopi. 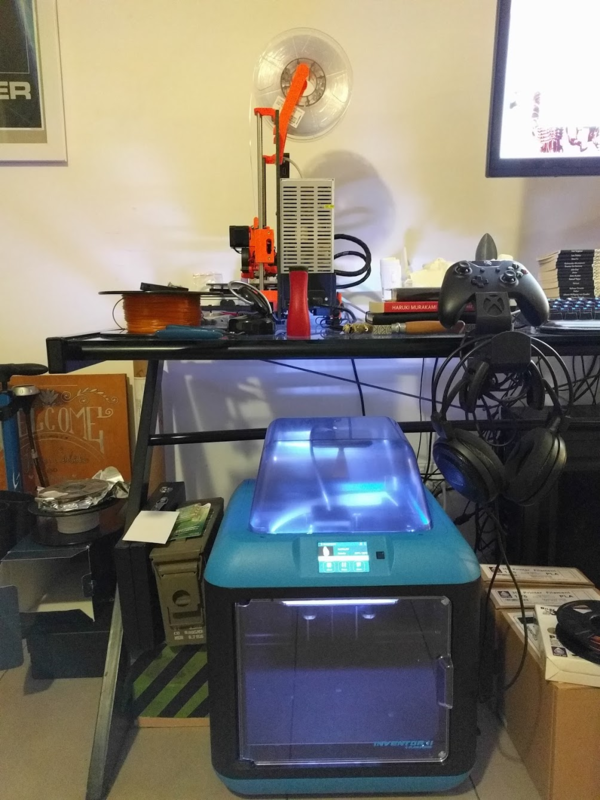 I don't have a print cave yet (not enough space), so my printer sits on the corner of my workbench. my name is Alex and I'm an electrical engineering student. I got into 3d printing after i saw the work of tom and a few others, which convinced me to buy my first printer (Vellemann K8200) back in 2014. I immediately saw that it needed quite a lot of work and improvements. 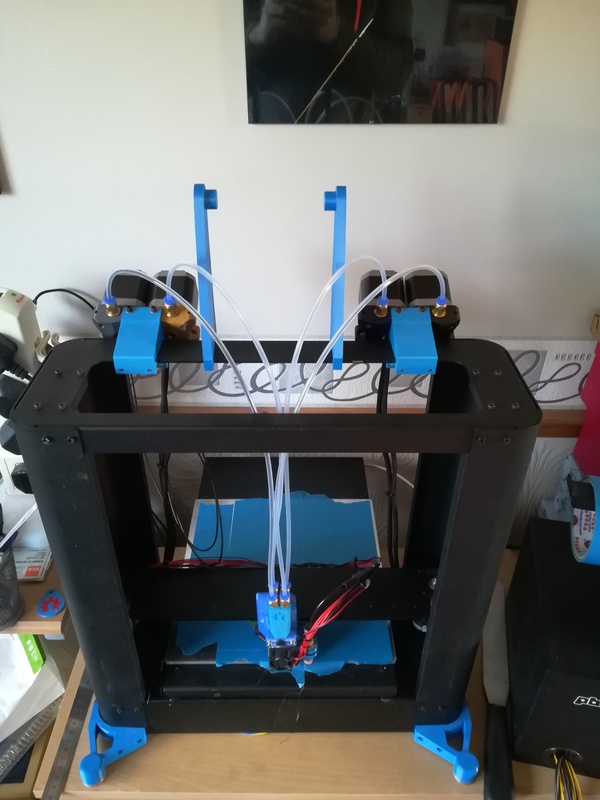 After the first round of Updates (Octopi, E3Dv6, glas plate, a few printed parts here and there) I was ok with what it can do, but now its screaming for further improvements. I'm James from the UK. 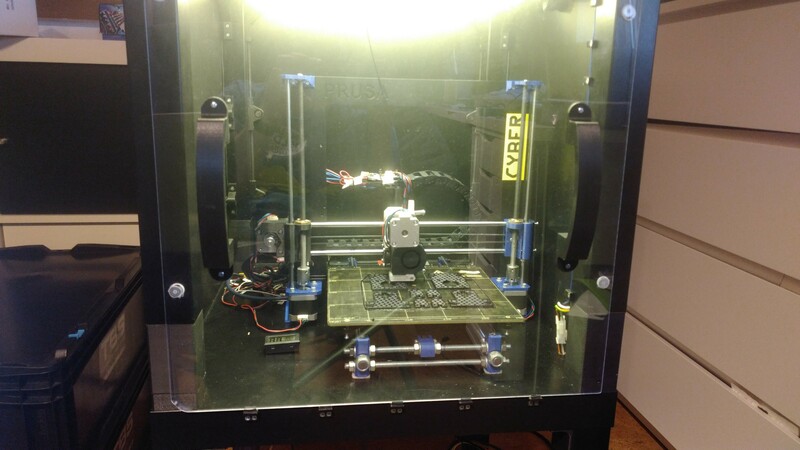 Here's my Printrbot Metal Plus with Multi Material Upgrade I made for it, going to be moving into a bigger space soon so I can set up my other printers .